Once again, I’ve done my traditional depressing holiday read. I’m not sure why I do this to myself, but I seem to choose a contemporary literary downer each year right around Christmas. The books are always very good, but they don’t leave me filled with cheer. A year or so ago, I participated in a literary blog hop giveaway. I didn’t win anything, but the hop did add several books to my TBR pile. One of these was Waterline by Ross Raisin. The blurb sounded gritty and poignant and the reviewer was so enthusiastic that I felt compelled to buy the book to be sure I wouldn’t forget about it. And this weekend, I finally pulled it off my shelf. Waterline follows the descent of Mick Little, a one-time shipbuilder in the Glasgow yards. We meet him on the day of his wife’s funeral. She died from mesothelioma, a cancer resulting from the exposure to asbestos that she received secondhand during the years he came home from the yard coated with it. His guilt is enormous. How did he escape the disease? Why should she be the one to die from it? Mick has two grown sons. He is more or less estranged from one. He gets along with the other, Robbie, but Robbie has moved to Australia. Robbie and his wife have come for the funeral, but shortly afterward, they leave for their own home. Mick is just as glad to have everyone out of his house. It’s uncomfortable with them there. But as soon as they leave, he falls apart. 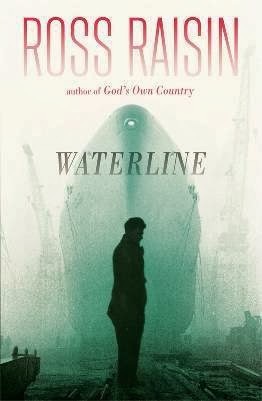 Waterline is a wrenching story of a man who loses everything when the bottom drops out of his world. His wife is dead and he is unable to go on living. Many years ago, he lost the job that defined him. Work for him now is scraping by to pay the bills as a hired driver, but he had been doing that to support his wife and family. Now, work has no purpose. Mick withdraws into his grief. He drinks. He barely leaves his house. He runs out of money. Eventually, he runs away to London–not so much to try to start fresh, although he does try–but because he wants to escape from the possibility of anyone he knows seeing what he has become. He manages to find a job in London for a brief time, but it doesn’t last. He falls deeper and deeper into alcoholism and homelessness. The book sucked me in. I found Mick’s helplessness in the face of his grief and loneliness very realistic and easy to understand. I felt the unfairness of his situation as opportunity to work, a potential lifeline for him, was pulled away, leaving him with nothing but hours to brood and drink. The book is a brutal account of the daily existence of a man who is barely getting by, day-by-day, by drinking himself into a fog of forgetfulness- or unthinkingness. It’s an interesting glimpse into the life of a homeless alcoholic, how someone can survive on the streets and what might have happened to someone to bring them to such a state. Raisin is an extraordinary writer, taking us deep into Mick’s thoughts and Mick’s world. It’s an awful place to be but it’s a marvelous book. It’s also a good reminder, particularly at this time of year, to be grateful for my blessings and not to take for granted the time I have with my loved ones. It's time to wrap up the 2013 Historical Fiction Challenge. Thank you to Historical Tapestry for Hosting this challenge. There were so many winners in here that I can't pick a favorite, but I will call attention to #4. The Sign of the Weeping Virgin, #5. Gillespie and I, #20. The Golden Dice, #22. Passion and #23. Bitter Greens as being particularly memorable. I'll be participating again next year. I might not get around to getting my sign up post up until after the holidays. Things are about to get very busy around here! "Waiting on Wednesday" is a weekly blogging event hosted by Breaking the Spine that highlights eagerly anticipated new releases. I've been waiting a while for this debut historical novel by Phyllis T. Smith. It's due out in April 2014. At the tender age of fourteen, Livia Drusilla overhears her father and fellow aristocrats plotting the assassination of Julius Caesar. Proving herself an astute confidante, she becomes her father's chief political asset and reluctantly enters into an advantageous marriage to a prominent military officer. Her mother tells her it is possible for a woman to influence public affairs, reminding Livia that while she possesses a keen sense for the machinations of the Roman senate, she must also remain patient and practical. But patience and practicality disappear from Livia's mind when she meets Caesar's heir, Octavianus. At only eighteen, he displays both power and modesty. A young wife by that point, Livia finds herself drawn to the golden-haired boy. In time, his fortunes will rise as Livia's family faces terrible danger. But her sharp intellect and her heart will lead Livia to make an unbelievable choice: one that will give her greater sway over Rome than she could have ever foreseen. 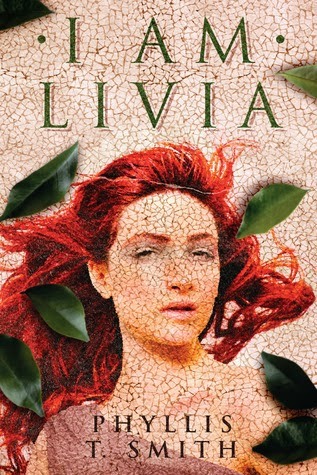 Livia is a fascinating historical character and I can't wait to read her story! And I'm excited to see what other books everyone is waiting for. It's been another wonderful year for challenges. The Back to the Classics Challenge is one of the most challenging and most rewarding for me. The categories are great guides for steering me towards a variety of truly great literature. Some of these books have been sitting on my shelf for years. Others are books that I've always wanted to read, but never had the proper "deadline" pushing me to read this next rather than something more pressing on my list. Sarah also adds the incentive of a drawing for a prize for those who complete the challenge. I've read all the required category books and three optional books, so that's 2 entries, I think. After hosting this wonderful challenge for years, Sarah is ready to pass the baton. There is possible interest from Karen at Books and Chocolate but I think she wants to be sure that there is enough interest in the blogging community before she commits to hosting. So if you'd like to participate in 2014, let Karen know you're interested! A big THANK YOU to Sarah for all the work that has gone into making this such a successful challenge for these past few years. I’m sorry to say that I won’t be able to complete two of the optional categories in the Back-to-the-Classics Challenge this year, but I have just turned the last page on my final book from the required categories. 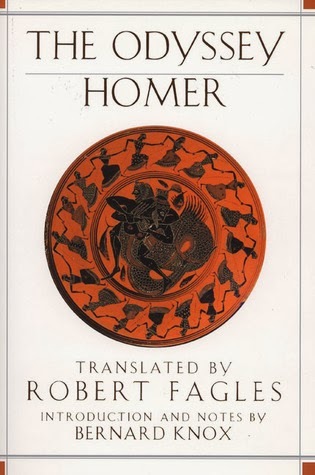 For the pre-18th century classic, I chose The Odyssey by Homer, translated by Robert Fagles. I’ve read various versions/re-imaginings of The Odyssey before. It’s one of those stories I never really grow tired of hearing, along with The Iliad. The Iliad is more heart-wrenching and is my favorite of the two. But Odysseus’ adventures are inspiring. His need to just get home is so understandable. And Penelope’s faithfulness, cleverness, and despair-turned-to-joy are lovely to read about when so many of the women in the old Greek stories are portrayed so unpleasantly. Still, it was time for me to read Homer’s version rather than condensed or novelized forms. The Odyssey is a beautifully rich and rambling journey through the narrative of Odysseus’ multi-year effort to return to Ithaca from Troy. It details the trials he was put through because of the anger of the gods, including, ultimately, the loss of his crew. Meanwhile, a horde of young men have descended upon his home to woo his beautiful wife. They are eating him out of house and home and devaluing the inheritance of his son, Telemachus. His wife, Penelope, has put the suitors off by means of a clever ruse for a few years, but her time has run out. Meanwhile, Telemachus has grown to manhood. Unfortunately, he has not the strength or support to run the suitors off. It’s gotten to the point where he would just as soon have his mother choose one of the suitors so that the others would leave and let him keep what is left of his inheritance. But, what if his father is still alive? At the urging of Athena, Telemachus sets off to visit Odysseus’ old comrades-in-arms to see if they might have any word of what has happened to him. This keeps him busy for the last few months of his father’s wandering. He is hastily summoned home by the goddess just as his father does return. Then, he and his father take their revenge on the suitors. In the course of Telemachus’ voyage and Odysseus’ last few stops and return home, there is quite a bit of recounting just what all has been going on with everyone since the fall of Troy. There is even some reminiscing about the bad old days in Troy. Odysseus talks about how he had to go down to the Underworld where he met up with some of the dead warriors. They, too, talked about happenings since Troy. It’s a very full story. An interesting story. If you love these old Greek myths and legends, it seems everyone gets a mention in one way or another. When Odysseus is home at last, and places himself in the way of the suitors, they heap abuse upon him. The story now moves quickly. Homer makes his villains behave so foully toward Odysseus that the reader (or listener) is ready for the retribution planned by the gods and executed by Odysseus and Telemachus. It’s swift, brutal, and gory. Novelized or condensed versions of this book that I’ve read straighten out the chronology and remove a lot of the repetitiveness. They are easier to read and, for this modern reader, more emotionally engaging. Homer meanders. There is a little too much repetition of events and of set phrases: young dawn’s rosy red fingers or Penelope wailing about the cursed city of Troy that she calls desTroy. Although it’s lovely the first and second time, after awhile I started to feel like "I’ve read this already." Or "Odysseus, you’ve told this story already. Twice. Let’s move on." And yet even so, the book is captivating. Even with knowing how it is all going to end. It’s a wonderful book to have read once. I know I’ll continue to seek out re-tellings of the tale, but I doubt I will re-read this one. However, I will eventually read Homer’s Iliad. 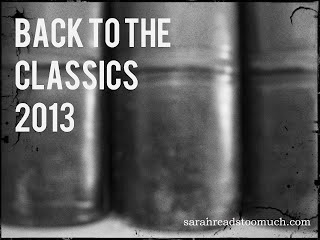 The Back to the Classics Challenge was hosted by Sarah Reads too Much. I read Jane Austen many years ago and was/am an ardent fan. Still, for some reason, I haven’t felt any desire to choose among the myriad Austen-related historical novels that have been coming out in the last few years. I’m not so enamored of the characters that I need to see their stories carried on. Or re-evaluated. Maybe it’s because I read Austen’s work so long ago. Or maybe it’s because I want to remember the characters as they were, not interpreted by another author. 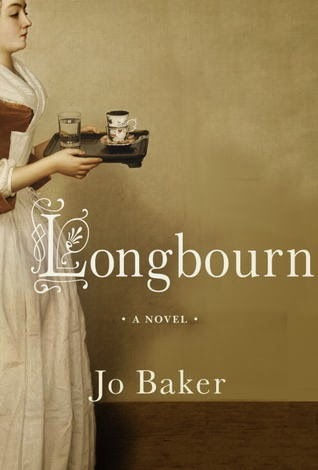 But then I saw the blurb for Longbourn by Jo Baker. This is Pride and Prejudice as seen from the point of view of the Bennets’ servants. My first thought was: The Bennets had servants? Apparently, they did. They just didn’t receive any notice. They were beneath notice. So what do the servants think of the goings-on at Longbourn? With the popularity of Downton Abbey, the soap opera mixture of upstairs and downstairs has proven to be compelling entertainment. Add to this the allure of Pride and Prejudice and the book was impossible to resist. But I had mixed feelings about it. It’s a slow starter. In Longbourn, the servants seem to take as little interest in the goings-on upstairs as the Bennets take in them. Unless it is going to directly affect their lives, the characters in Longbourn don’t bother with Austen’s characters. They are too busy working. The plot of the book has to be fitted chronologically, more or less, to the plot of Pride and Prejudice because the relationship to the classic is the selling point of the novel. So the familiar major events are remarked upon. Jane goes to Netherfield and catches a cold. Mr. Collins comes for a visit and ends up proposing to Elizabeth. The Bingleys leave Netherfield abruptly. Etc. But this info, interesting as it may be to the reader, means very little to Sarah, the housemaid-protagonist of this novel, who is very much wrapped up in her own problems. Sarah’s concerns and, to some extent, those of the other servants, are the stuff of this book, not the love lives of the Bennet girls. And, frankly, it took a while before I was able to find Sarah’s problems all that compelling. It was an interesting concept, but not all that interesting a read. Sarah is an orphan who was raised up by the housekeeper/cook at Longbourn, Mrs. Hill. Sarah is a young woman now, and has come to resent the grueling drudgery of her life and the hopelessness of her situation. Although grateful to Mrs. Hill for rescuing her from the orphanage, Sarah works hard from dawn until past nightfall and sees no hope for a better future. The difference between her life and that of the ladies she serves could not be more starkly presented. One day, a new man, James, arrives on the scene who is hired on as footman. Although Sarah briefly entertains a fantasy of a romance, the footman ignores her. In turn, she scorns him, convincing herself that he is hiding some terrible secret. She turns her attention instead to the footman of the newly arrived Bingleys. The handsome messenger is flirtatious and charming and he brightens her days. There is in-depth description of the workaday life of maidservants of the time period. While I admired the realism, unfortunately, reading about so much drudgery was a bit monotonous. I got tired of Sarah’s chilblains. Eventually, the storyline does take off as Sarah tries to take more control of her life. It turns out James is hiding a secret. It isn’t just Sarah’s imagination. Sarah and James are good people who inevitably become drawn to one another but obstacles are put in their path. The roundabout love story works. It is not a "Romance" with dances and ball gowns and high society manners and intrigues. It’s gritty and difficult with no magic solutions. No one races around to rescue the broken dreams of the poor. Not even Mr. Darcy. In the end, the most striking feature of the book is how disinterested Sarah is in the Bennet girls’ stories and how disinterested they are in her. It’s an unflinching look at the lives of domestic servants in late 1700's England and an interesting love story in its own right. But it doesn’t borrow much from Pride and Prejudice except the names of characters and a loose structure based on a plot outline for action that is happening pretty much off stage. This is the 36th book I've read for the Historical Fiction Challenge hosted by Historical Tapestry. I did it! I successfully completed the TBR pile challenge (hosted by Roof Beam Reader)–with a month to spare. I’ve been so addicted to library books lately that I’ve been neglecting my challenges and then I realized how little time I had left and started to panic. 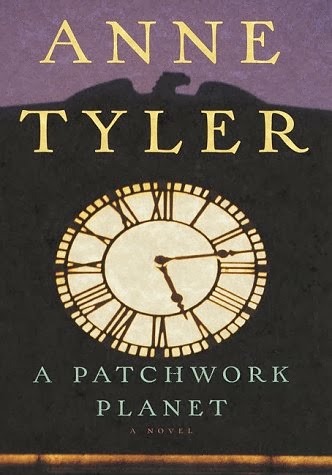 So I read The Tenderness of Wolves by Stef Penney last week and was then so close to finishing that I pulled Anne Tyler’s A Patchwork Planet from my shelf and polished it off. Way in the past, I read a few of Tyler’s books and always enjoyed them, but I fell out of the habit of reading her. I bought A Patchwork Planet at one of our library’s used book sales because I knew, from experience, I would like it. But I felt no particular urgency about reading it. It was one of my alternates for the challenge. When I decided to read it, I devoured it in a day. The hero of the story is Barnaby Gaitlin. Barnaby had a very troubled adolescence that he is just now starting to shake off as he turns thirty. His family is close but dysfunctional and his role within it is "black sheep," which doesn’t do much for his self-esteem. He has an ex-wife and a nine-year-old daughter who live in Philadelphia. (Barnaby lives in Baltimore.) He sees his daughter only on the last Saturday of the month, an uncomfortable arrangement. His life is primarily defined by his job, one of irregular manual labor. He works for Rent-a-Back, hired by the hour by the elderly or disabled for various odd jobs. Barnaby is particularly good at this because he is patient and kind-hearted; he forms affectionate bonds with the clients. Despite the fact that Barnaby is good at what he does and performs a valuable service for many people, he is underappreciated by his family. Ironically, his family are "The Gaitlins" of the Gaitlin Foundation. His father and brother sit on the board of a foundation for the indigent set up by a wealthy great-grandfather. They are credited with being "do-gooders" when in fact it is Barnaby who is doing good. Barnaby is criticized for his lifestyle and lack of money, the implication being that he is lazy and unambitious. In fact, he is very hard-working and conscientious. He simply values different things. Barnaby’s life begins to change when he meets a woman who is practical, steady, slightly older than he is, and much more socially adept. She helps him to begin to mend some of his fences. He takes steps toward an adult relationship. He feels his life is moving forward at last. Tyler’s novels always are wonderful for their character explorations. Barnaby is typically quirky, as are the characters he deals with on a regular basis. Tyler explores issues of aging and dependence in a touching way that manages to be both sad and funny. The detailed vignettes of Barnaby’s daily life make him seem very real (as do his family and friends) even though (or perhaps because) they are all a little odd. And it is also very real that Barnaby’s problems are not wrapped up into a neat little package and solved at the end of the book. It has an abrupt and not entirely satisfying ending but a realistic one. The book is classic Anne Tyler and it reminds me why I find her books so readable. It’s all about the characters.